The sheer vastness of space, the beautiful dunes, shallow waters to splash in, the miles of soft sand - plus being dog friendly all year round. It’s the best beach in the area, wouldn’t you agree? How about combining a walk with a photo shoot for your dog? I specialise in outdoor dog photography, where dogs are having fun and enjoying life. 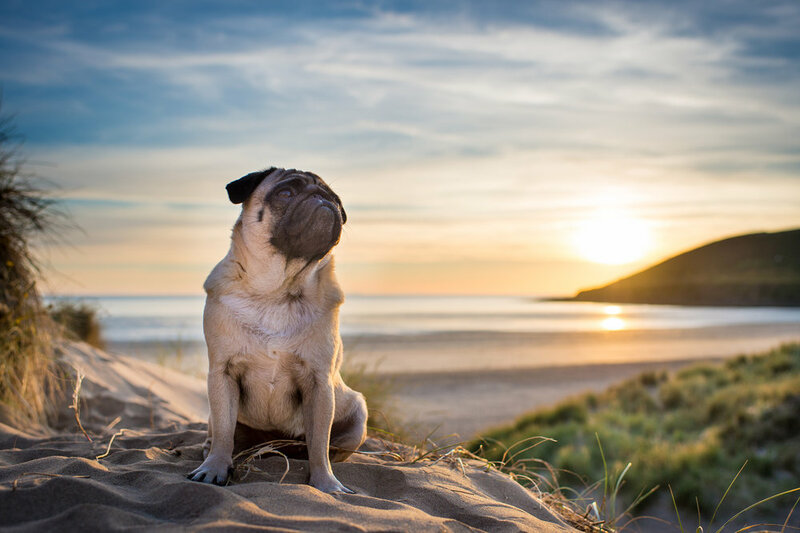 I can meet you for a shoot at Saunton Sands or Braunton Burrows and take some vibrant, colourful, fun and happy pictures of your dog (and you too if you would like to be included) that you can keep forever and reflect on special memories in an incredible place. Fill out this form to express your interest and I will contact you to discuss my photo shoots. Below are some images taken at Saunton Sands. Please note: filling out the form does not oblige you to have a photo shoot. It is merely an expression of interest. I will contact you to discuss photo shoots at Saunton Sands and Braunton Burrows and I will also add you to my “locals” list and this means I send an email once a month with pictures from the local area (south west), any news and special offers/competitions. If you would rather not be included on my list please let me know below. Want some inspiration? Watch this film of a shoot I did with two Spaniels, Fred and Bert, at Saunton Sands.